Ok, folks. 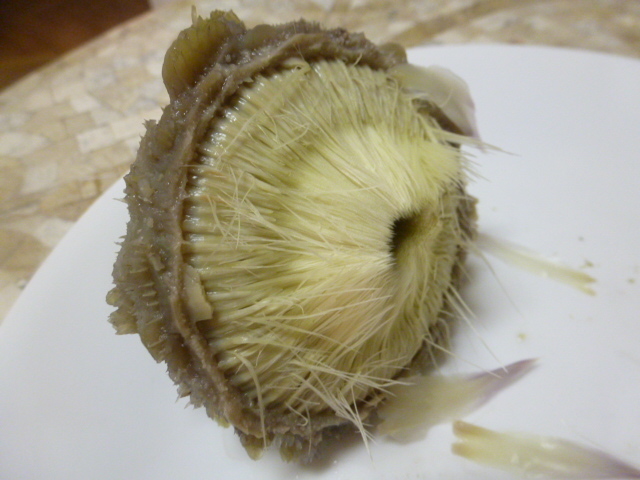 Remember that delicious stuffed artichoke we make the other day? 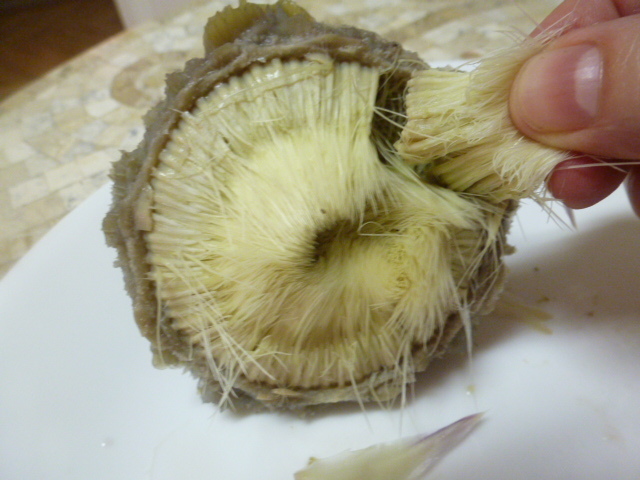 I hope you didn’t throw the stump away – whether you stuffed your artichoke or simply steamed it, hidden underneath all those leaves is found the best part of the artichoke: the heart. Once you finish munching on the stuffed leaves, this is what you have – a goofy-looking hunk of greenery. 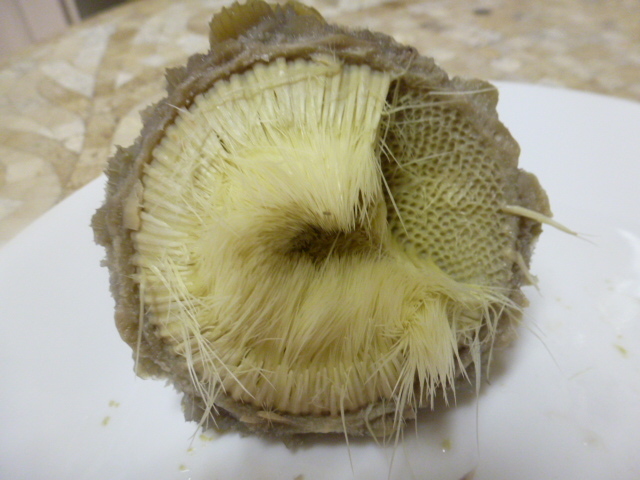 From the top of the flower, begin to peel away the layers of leaves. The inside leaves are purple. Continue to peel away the purple leaves, until you get to these undeveloped furry leaves. Pinch the furry leaves at the center of the heart, and pull towards the outer edge. Continue to peel around the heart until all of the leaves have been removed. 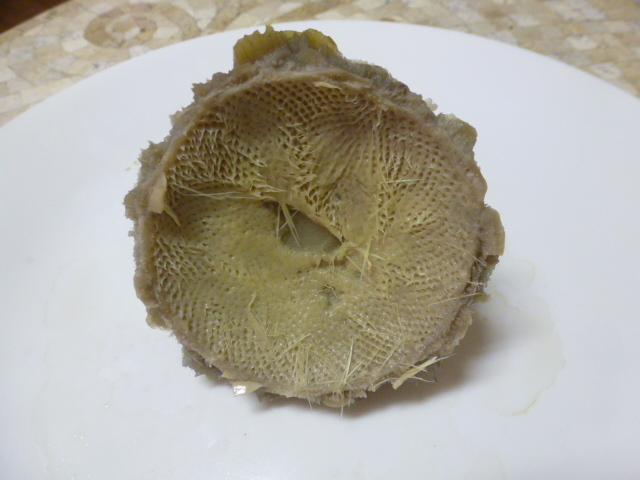 And there it is – the artichoke heart! You can cut this up and toss it with your salad, add it to your lasagna – or make a string bean and artichoke casserole. 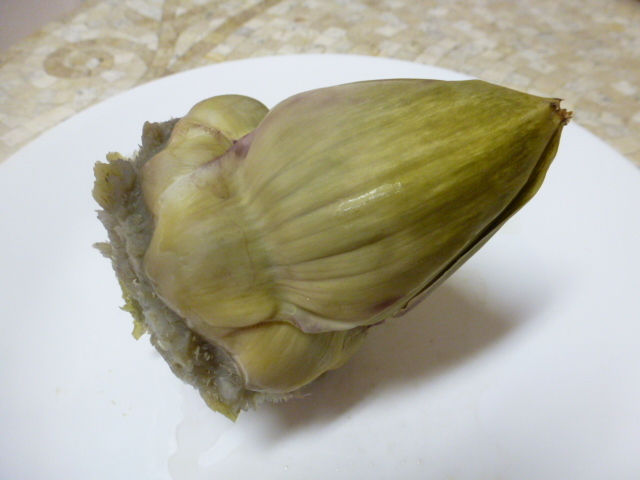 I love stuffed artichokes! 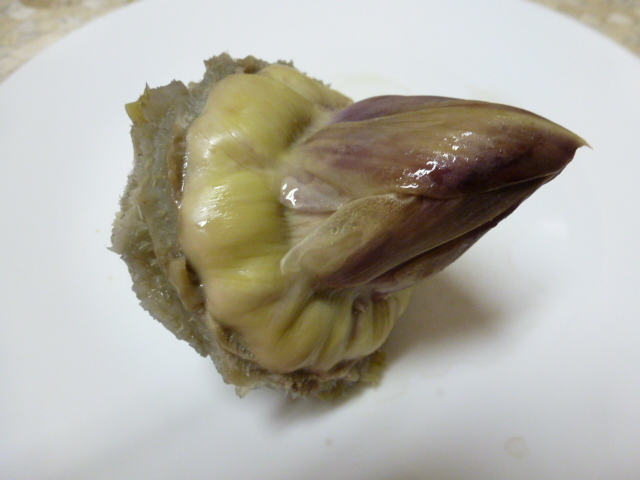 I also love a simple steamed artichoke with melted garlic butter or a homemade garlic and sundried tomato aioli (can you tell I love garlic, too?). Oddly enough, I’ve never thrown away the purple leaves, just eat only the soft bottom part. And yes, the heart is my favorite, also dipped in whatever lovely sauce the leaves were enjoyed with. Thanks for the reminder, I believe I’ll have one tonight!